We are the first in the Greater Hartford, CT area to offer PICO Genesis™. 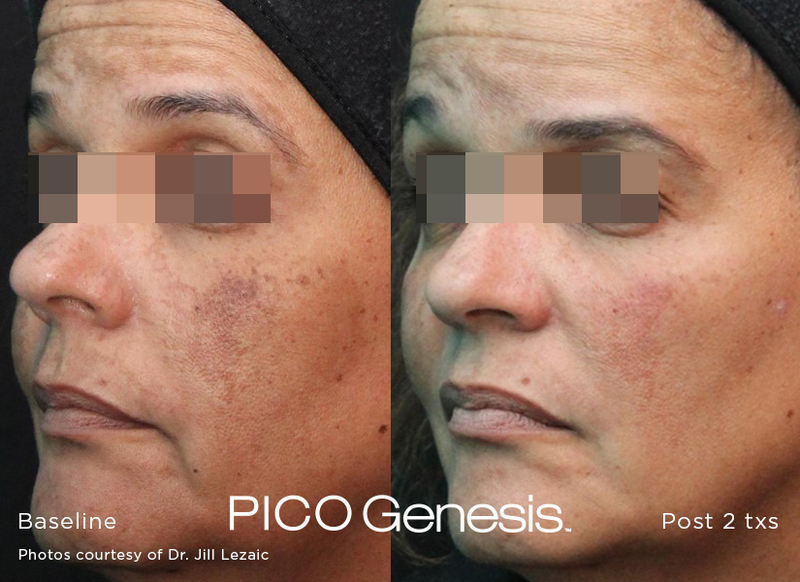 PICO Genesis™ is an entirely new approach in the treatment of discrete lesions and skin revitalization for all skin types. It combines the benefits of two highly effective wavelengths in ultra-short pulses to cause an intense, non-thermal, photo-mechanical disruption. It shatters the benign pigmented lesions while delivering a laser induced shockwave for dermal disruption and remodeling which results in a brighter, more uniform complexion in as few as two treatments*. If you have any questions or would like to make an appointment, call us at 860-242-0497 or Contact us. 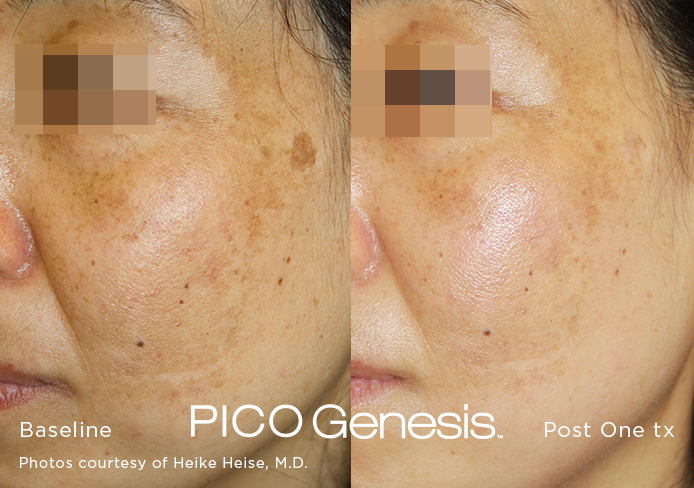 PICO Genesis™ combines the benefits of two highly effective wavelengths in ultra-short and fast pulses to cause an intense, non-thermal, photo-mechanical disruption to shatter benign pigmented lesions while delivering a laser induced shockwave for dermal disruption and remodeling. 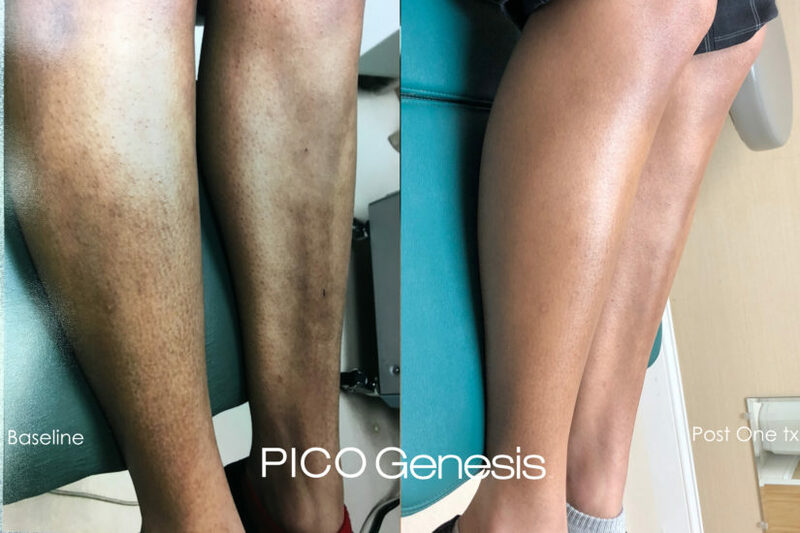 Since the treatment is non-thermal and thus does not create intense heat, our medical providers are able to focus on the areas of discolored skin without causing damage to the surrounding tissue. We typically treat the face and neck but other parts of the body may be treated as well. What does the PICO Genesis™ treatment feel like? Patients will feel a mild, prickly sensation. It is a gentle treatment with virtually no patient downtime. Optimal results may be achieved in 1 to 2 treatments* but every patient’s condition and needs vary. A treatment plan will be determined during your consultation with one of our medical providers. Slight swelling or mild flaking is possible in cases where a more aggressive approach is required. Why did we choose to offer PICO Genesis™? 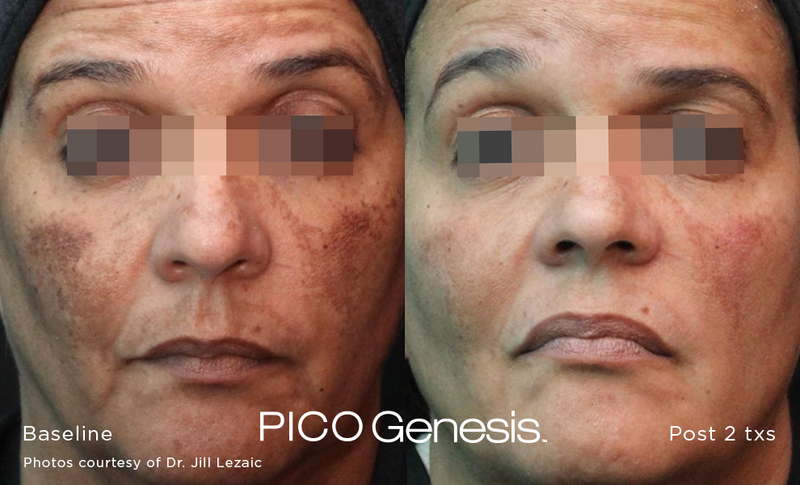 PICO Genesis™ is an entirely new approach for all skin types (tones) that combines the treatment of benign pigmented lesions and skin revitalization without causing thermal damage to the surrounding tissue. It is an ideal option for those with sensitive skin or who cannot take time off with work but who want to remove hyperpigmentation such as melasma, sun damage, uneven skin tone, freckles, age spots, red spots and brown spots. 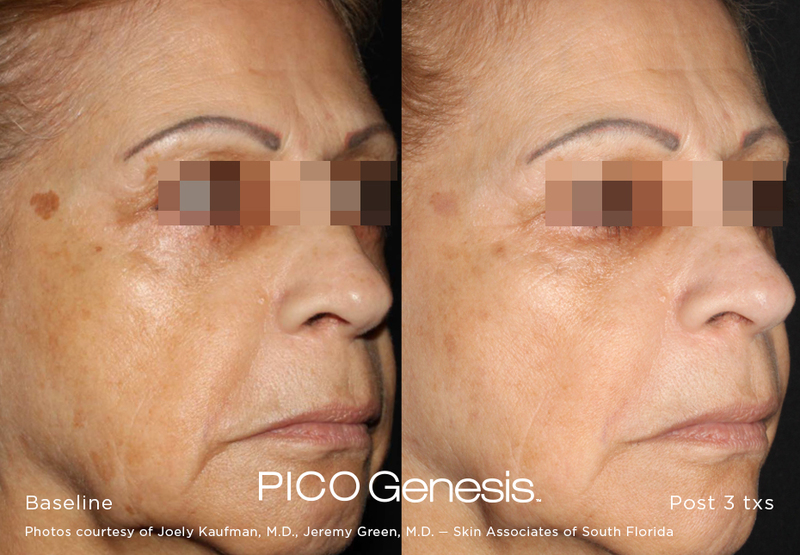 How much does PICO Genesis™ treatments cost? Our pricing is very competitive and we offer complimentary consultations with one of our medical providers. We also offer convenient monthly payment plans through CareCredit. For specific pricing information, view our price list.